Understanding airworthiness is central to maintaining and operating aircraft safely. 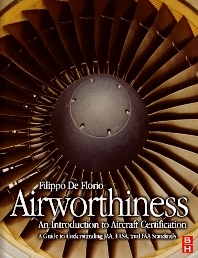 While no book can replace the published FAR/JAR documentation for airworthiness, this unique guide provides readers with a single reference to understanding and interpreting the airworthiness requirements of the ICAO (International Civil Aviation Organisation), FAA (the US Federal Aviation Authority) and EASA (European Aircraft Safety Agency). Setting these requirements in a real-world context, the book is an essential contribution to the safety management system of anyone involved in the design, maintenance and operation of aircraft for business or pleasure.